Perhaps more to the point for most of us is whether this chipset and antennae will pull more out of marginal signal areas or better find a signal in patchy areas. Fast LTE speeds in a well covered area is less of an issue to me than simply getting something from what is there. 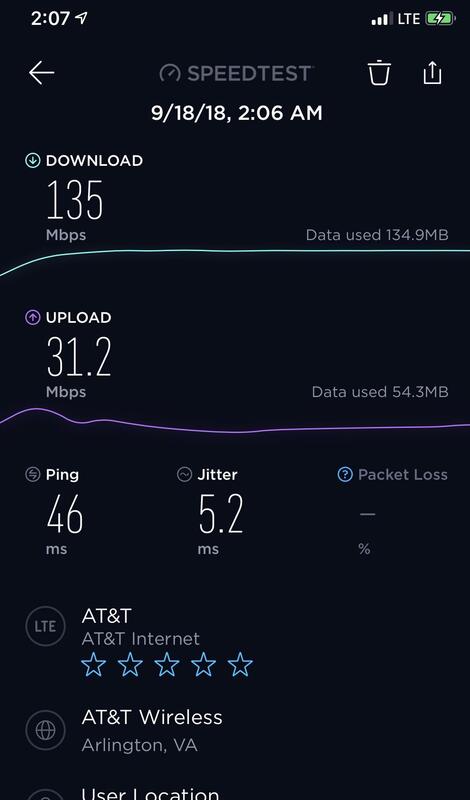 Not sure that 30mbps vs. 60mbps will affect my usage much, but it certainly won’t hurt and with support for T-Mobile’s new band it’ll hopefully be a decent upgrade when my XS arrives. Funny ,I got 50 mbps on my iPhone SE on LTE. I believe I read that T-Mobile and Sprint will allow for better reception in remote locations and in buildings with new spectrums being supported. Intel XMM 7560 Gigabit LTE modem is reportedly faster than Qualcomm Snapdragon X20 modem because aside from undergoing the 14nm manufacturing process, it also offers flexibility and supports 5x carrier with combined downlink of 100MHz and 3x carrier for uplink upto 60MHz. Aside from networking, Intel’s modem also contributes to extend device’s battery life. I hate the fact that the bottom of the XS & XS Max are not symmetrical. What was Apple thinking? Exactly. This is why I really don’t care much about 5G. If I can even get reasonable LTE speeds, I’m happy. Is the power usage less than Qualcomm? I didn't notice anything. Can you supply an image and point out how it's not symmetrical? 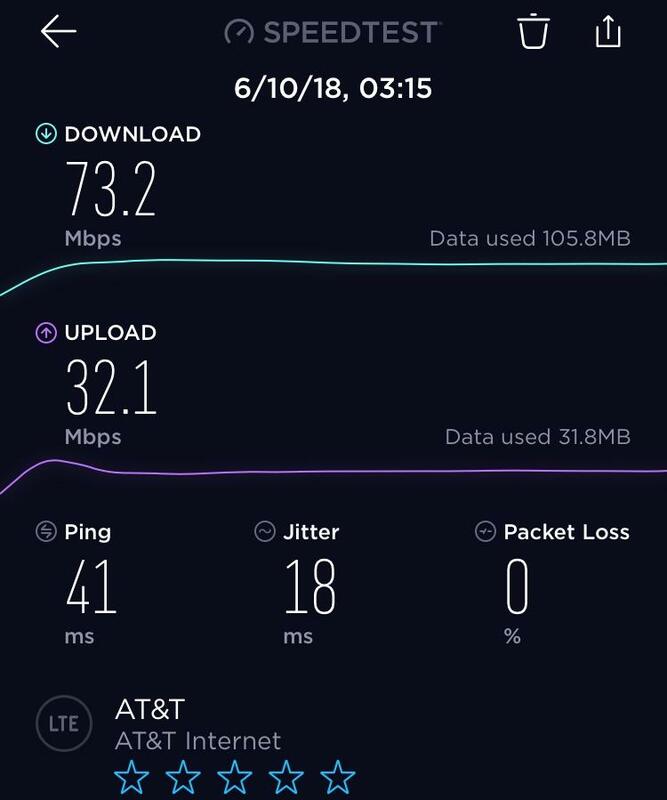 It sounds like you're in an amazing area for AT&T LTE performance so I'm curious how much better the iPhone XS series would be for you. Any way you can test this before buying one? 86 Mbps down, 28.9 Mbps up. AT&T in Orange County, CA on iPhone X. Unfortunately there is no easy way to answer that question. Apple and Intel work together to make very capable modem. Function over form. Like the notch and the camera bump. What’s behind those grills are more important than keeping them symmetrical. Nice connectivity. I wonder if your new XS will hit 200 Mbps down? I just ran the test with Verizon on my X. I got 35.4 Mbps down. I'm currently out in the country so I'll have to test it tomorrow when I'm in the city. On a side note, anyone's XS ship yet? I just got my shipment notification from Verizon. Can't wait until Friday. On a lightly loaded tower (3:00am) I’ve gotten 73/32 on an iPhone 6s. Are people in here really that clueless? Yes you may get faster speeds in your area with whatever phone you have. This is a comparison of the old phone and the new phones in the same location. 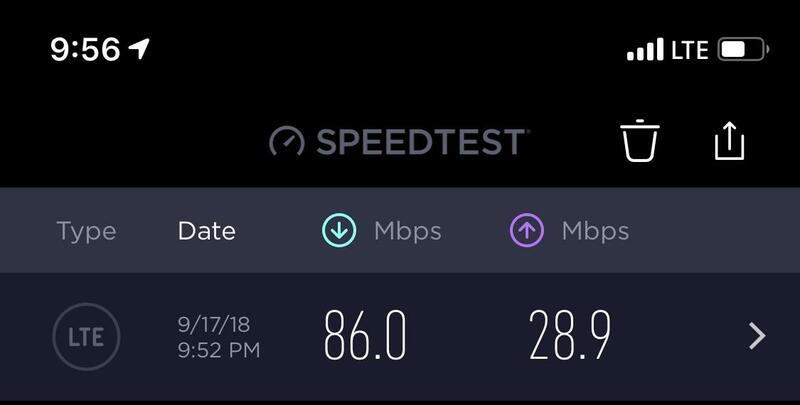 Posting all your speed tests are meaningless until you post the same speed test with the new phones.